Chiminea Garden Style Cast Aluminum wood burning Outdoor Fireplace Chimenea. Charcoal In-Stock Now!Antique Green In-Stock Now!Gold Accent In-Stock Now! 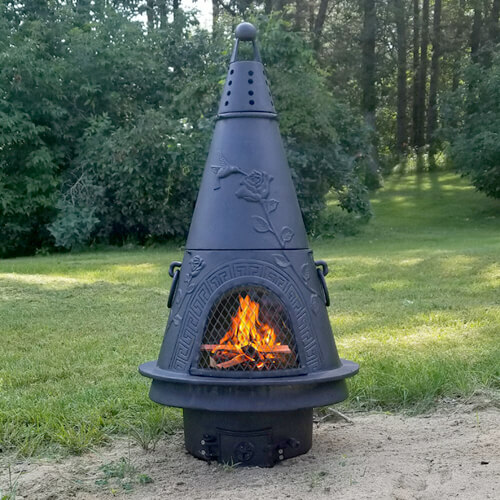 The Garden Style Chiminea is a versatile medium sized chiminea, light enough to bring to the lake for the weekend or a quick patio arrangement. The rich garden design features a beautiful hummingbird hovering over a rose. 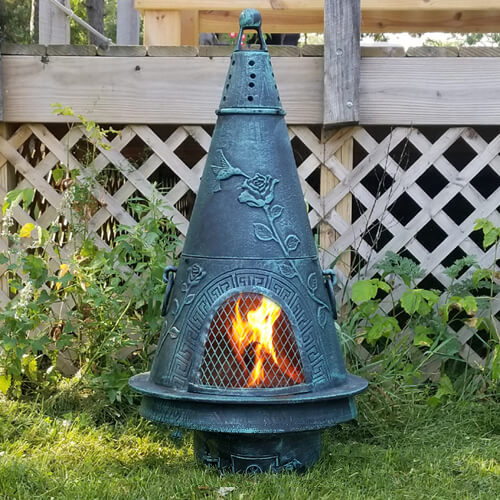 This chiminea makes a wonderful addition to most any backyard. The Blue Rooster recommends the Charcoal color because of its lasting qualities in a high heat wood burning fireplace application. Gold Accent and Antique Green will darken during firing from pigment changes in high heat colored paints. Due to the nature of wood burning fireplaces we do not warranty paint life. 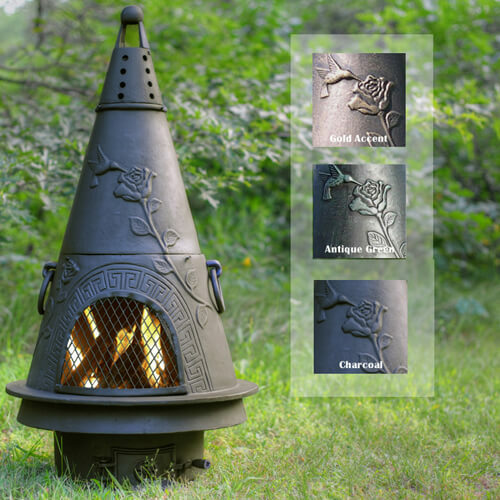 The Garden Style chiminea is designed to be used as a fireplace, grill and even an oven when cooking with the top on. This chiminea makes an excellent pizza, and even bakes bread. 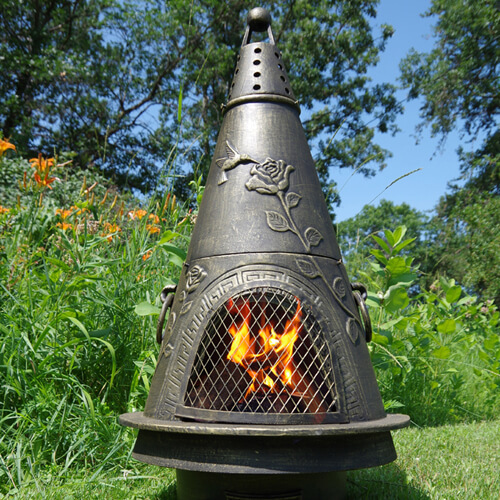 A very versatile medium size chiminea and a great gift for anyone who loves the outdoors!